I’ve mentioned before that I like ukuleles, especially IZ’s "Somewhere Over the Rainbow" [^]. I’ll even admit to liking George Formby on his banjolele if pushed. Well I’ve found another reason; UK-based female duo, Rocky and Balls. 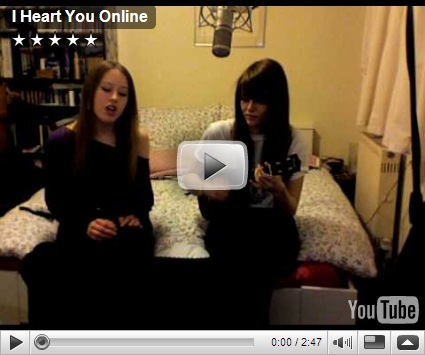 “I Heart You Online” is a nice, happy, bouncy tune that leaves me wanting more. And there is more, Sophie Madeleine’s (Balls) solo album “Life. Love. Ukulele [^]” which sound just as good. In the meantime I will be downloading what I can, and paying for it.